Come December, it isn't all about you anymore. EA is releasing a Team Racing pack for Need for Speed Shift, a free update that brings team tactics and five legendary vehicles to the game. Team Racing is an all-new mode for Need for Speed Shift that pits two teams of up to six racers against each other. In team-based races, winning isn't simply about crossing the finish line. You'll have to coordinate with your teammates, work out strategies, and yes...sometimes you'll have to lose in order to win. It's a difficult concept for some to grasp. I'd suggest watching Talladega Nights for inspiration. If you bought a launch PlayStation 3 you should have a copy. 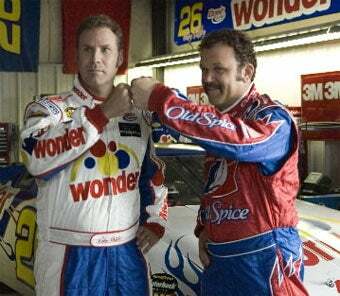 It's all about the Shake N' Bake. The Team Racing pack will be available worldwide for the Xbox 360 on December 1st, December 3rd for European PS3 consoles, and December 10th for the North American PS3.